Christmas is just around the corner but due to the busiest time of the year we barely had a chance to make some cookies! Here’s a super simple recipe which will bring the scent of freshly baked cookies and Christmas spirit to your home in no time. 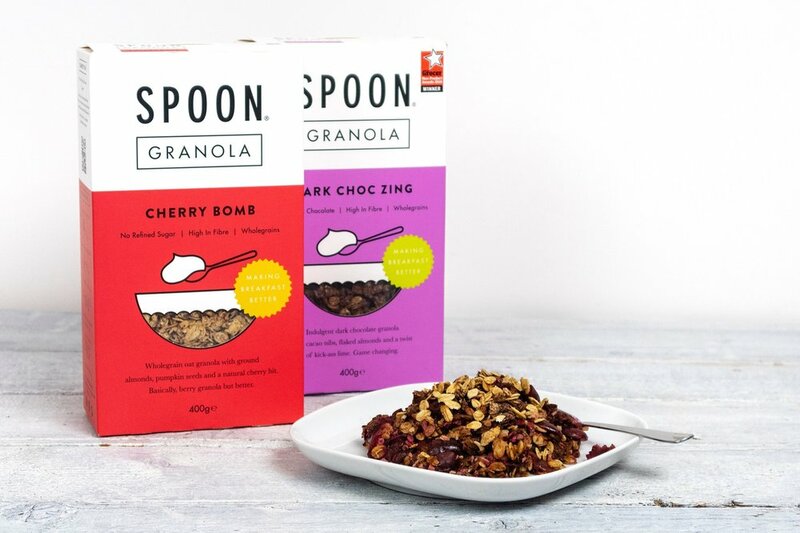 Measure and pour Cherry Bomb granola into a bowl, break down bigger clusters using a fork. Add the flour and stir the two components until well mixed. Add the sugar and cinnamon. Measure the butter and put into a pot, heat the butter slowly (it should not boil) until fully melted. Add maple syrup to the butter and mix well. Pour the butter/ syrup mix over the dry ingredients and mix with a fork until a dough is formed. Add Cupsmith Hot Chocolate to the mix and mix well. Add baking paper onto a baking tray and preheat the oven to 180°C, fan oven 160°C, Gas Mark 4. Using your hands form 12 balls out of the dough and place them with enough space between each other onto the tray. Push each ball down slightly. Bake the cookies for 12-14 minutes. They will still be very soft when the time has elapsed. Take them out of the oven and leave them for at least 15 minutes to cool down before moving them. If you wish, drizzle some melted chocolate on them once they are fully cooled down. 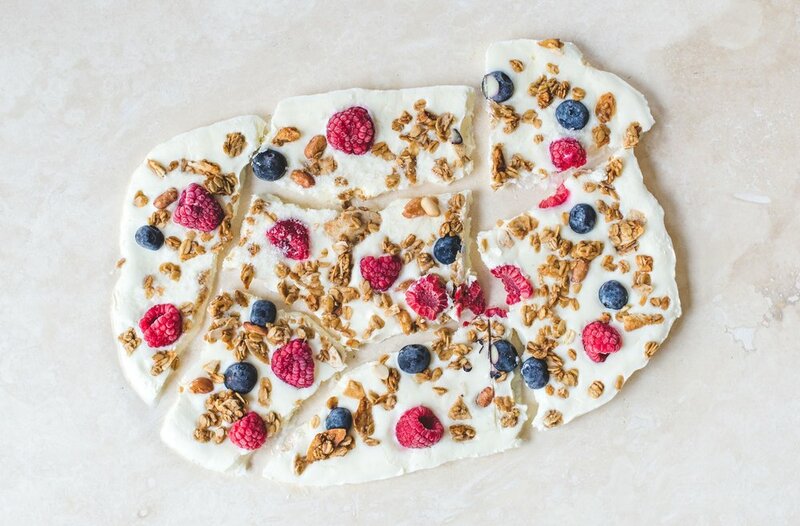 Whoever invented yoghurt bark, should get a pat on the back. It’s so simple to make, yet looks like a masterpiece. We turned into excitable 9 year olds when we made our own version to share with you guys. With blue skies and increasing temperatures comes ice cream and this is a great, healthier (and cheaper) alternative. 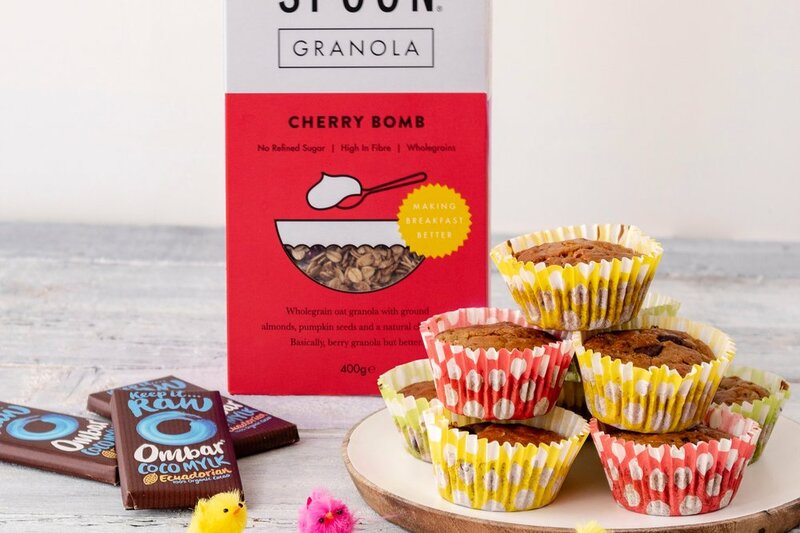 Try making this for a summer get to together or breaking up into pieces and storing in the freezer for a healthy pud for the week ahead. Mix together the yoghurt and honey, giving it a good stir until well combined. Line a baking tray with kitchen foil and pour the yoghurt mixture on top of the foil. Spread the mixture out to your desired thickness, ours was approximately 2cm thick. Sprinkle on the granola and berries and place in the freezer for 3 hours, or until it is completely frozen. Remove from the freezer and break the bark up by cutting using a sharp knife or bashing it using the end of a rolling pin. You can store the bark in pieces in the freezer in food bags.